The Motorola Moto 360 smartwatch has been said to be coming soon but we don’t have an exact date yet. Apparently, it’s coming very soon. The Android Wear powered smartwatch has made an appearance on national television. 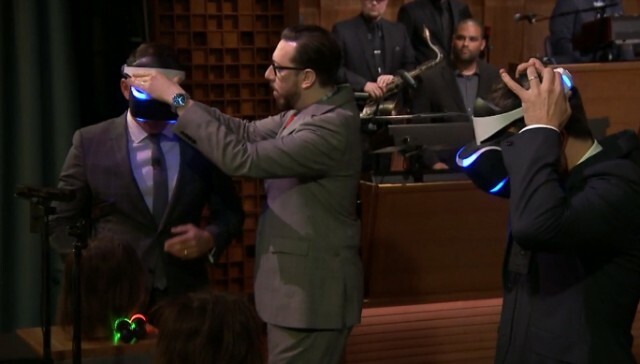 At the Jimmy Fallon’s “The Tonight Show”, Joshua Topolsky, the Editor-in-chief at The Verge was seen sporting the Moto 360 smartwatch. Joshua was present at the show to showcase a Lytro camera and Sony’s new VR headset but the Moto 360 on his wrist grabbed the most attention. The display of the smartwatch did light up on a couple of occasions and we could see the neon shaded traditional analog watch face. The smartwatch did feel comfortable on Joshua’s hands and it did not seem too thick either. A journalist wearing the smartwatch publically makes us think this might be a planned move and we can expect the device to hit the stores soon. Google’s I/O Developer’s conference goes underway on June 25th and we can expect to hear about the Moto 360 smartwatch then. To watch the Moto 360 in action on Joshua’s wrist, hit the source link and watch the show for yourself.